6 Best Homeopathic Medicines for Kidney Stone Treatment. A kidney stone is a hard mass developed from crystals that separate from the urine within the urinary tract. Normally, urine contains chemicals that prevent or inhibit the crystals from forming. These inhibitors do not seem to work for everyone, however, so some people form stones. If the crystals remain tiny enough, they will travel through the urinary tract and pass out of the body in the urine without being noticed. A less common type of stone is caused by infection in the urinary tract. This type of stone is called a infection stone. Another type of stone, uric acid stones, are a bit less common, and cystine stones are rare Urolithiasis is the medical term used to describe stones occurring in the urinary tract. Other frequently used terms are urinary tract stone disease and nephrolithiasis. 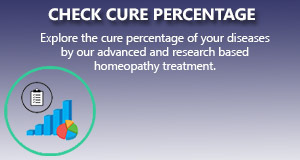 In our Multicare homeopathy online treatment center many kidney stones patients have cured successfully. We apply the most scientific and research based homeopathy treatment package for kidney stones that expel out the stone smoothly. Homeopathic medicine for Nephrotic Syndrome Treatment.